Tomorrow is Bike to Work day in Pueblo, CO which is part of National Bike to Work Week. There will be a breakfast station set up at SRDA on Union and Grand Ave which will include free breakfast burritos, live music, drinks, snacks and lots of local bicycle commuters to socialize with. The breakfast station is open at 6am and will continue until 9am. 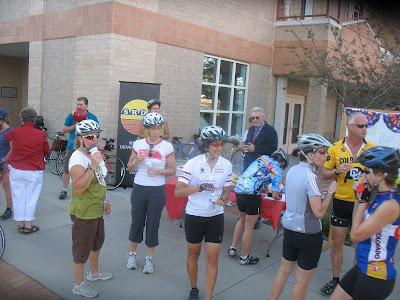 At 7:30am there will be a Downtown Tour, in which all bicycle commuters will take a 2-mile casual ride around the downtown area to demonstrate our strength in numbers and to get to know fellow commuters. This is also the kick-off for the Bicycle Commuter Cup, so if you haven't registered, there is still time. So ride on down, get some free food, take in some music, mingle with fellow bicyclists, and start your day off right!